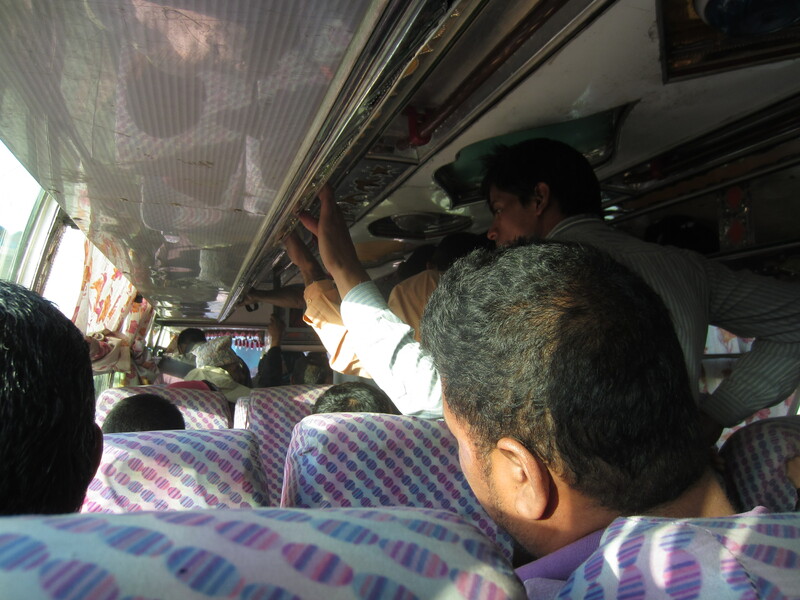 After leaving Bardia, the adventures continued when we set out for Lumbini (via Butwal), the birth place of the Buddha, on a local Nepali bus. We piled our bags onto the roof and packed ourselves in like sardines for one long, hot, sweaty, dusty ride, in seats not big enough for our legs, passing slower vehicles, dodging oncoming traffic, swerving, breaking, and of course honking, to avoid cows, goats, chickens, bikes, buses, cars, children, and water buffaloes all to the loud beat of a Hindi soundtrack playing in a repetitive loop. At one pitstop I was honked at by the driver who was very annoyed with me for taking too long during our bathroom break (in the woods). As bad as it sounds, this ride was an improvement over riding on the roof of the bus, which Coalter and I both did in Nepal when we were younger (sorry Mom, I never wanted to tell you that!). 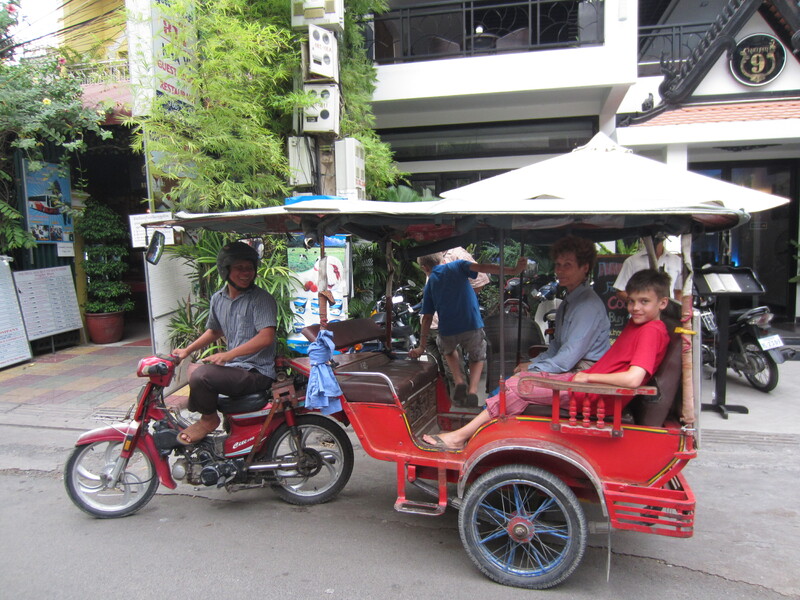 Throughout this trip we have been trying to strike a balance between using the cheap and culturally interesting local transportation and preserving our lives. Private transportation, which is much more costly, allows you to ask the driver to slow down, point out to him that he’s going to kill a child if he doesn’t cool it, and to stop when GI distress and motion sickness strike suddenly, which they do with some frequency. 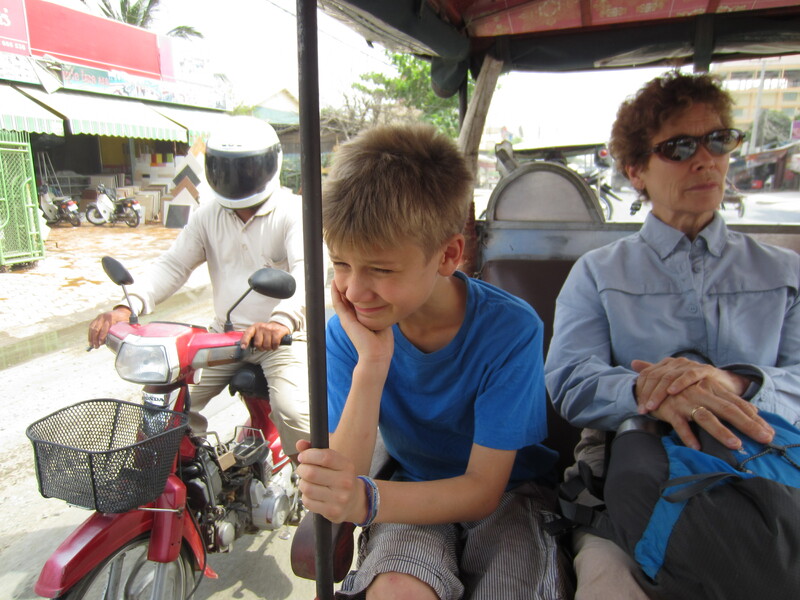 With our children in tow, we have chosen the private option for most of our overland travel in Nepal. 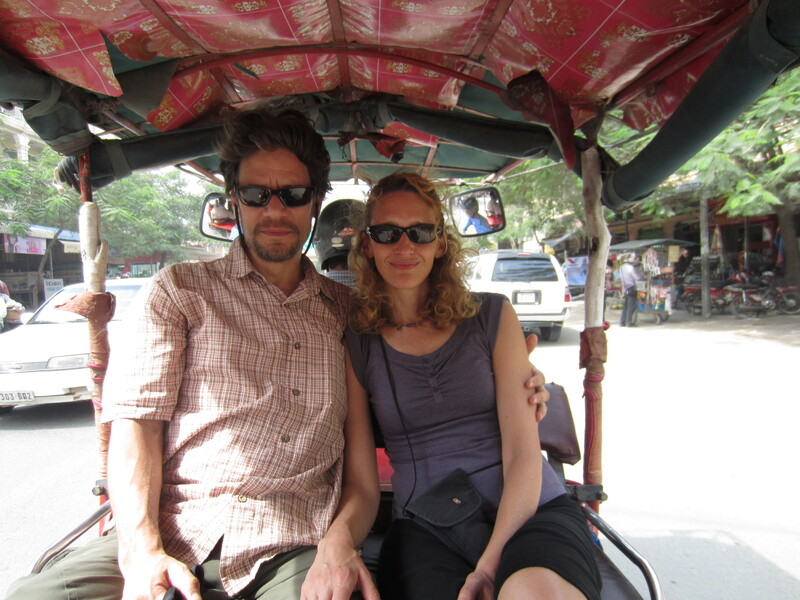 We have spent a great deal of time getting around cities in tuk-tuks. 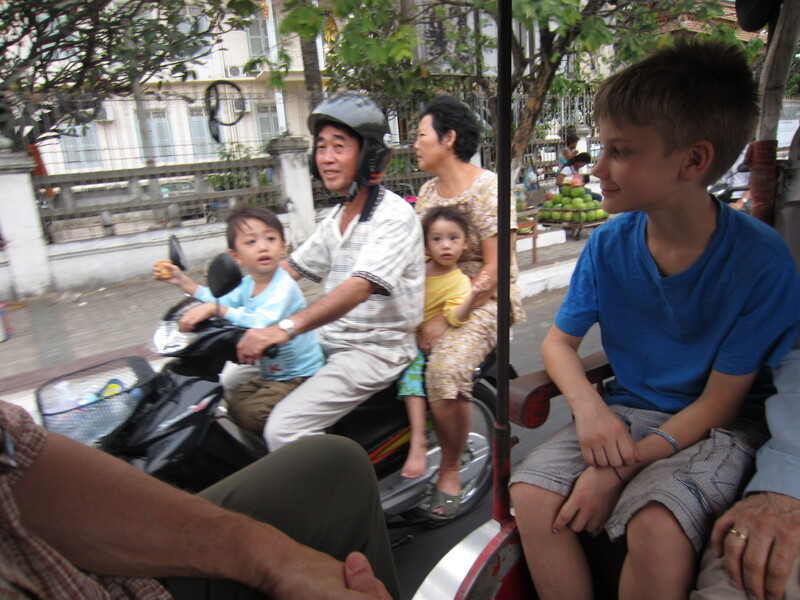 It is a great way to see a city and to experience the chaos of the urban landscape. Here are a few photos. I have found it is best to sit on the bench that faces away from the driver and the oncoming traffic. This helps when, for example, you are the only vehicle going in completely the wrong direction around a very busy city rotary.